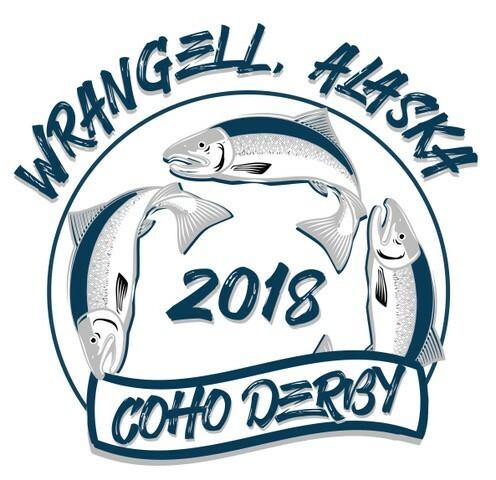 Wrangell’s kicking off its Coho salmon derby this weekend. The competition is filling in for the town’s king salmon derby, which was cancelled this summer due to severe sport fishing restrictions. For 65 years, Wrangell has held the longest king derby in Southeast Alaska, lasting a whole month. This is the first year the town cancelled the event, when the Alaska Department of Fish and Game closed sports fishing around the entirety of the island until mid-June. Derby organizers are anxious, wondering if the silver salmon derby can garner the support of the community like a king derby would. The best measure of that interest will be in ticket sales. “We need to sell as many tickets as we can, obviously, and have this thing work so we can justify having another one next year,” derby chairman Shawn Curley said. He’s looking to sell 300 tickets minimum. In 2016, 858 king derby tickets were sold. The last Coho derby was held in 1996. The golf course hosted the event and sold an abysmal 50 tickets, a bad sign for this year’s derby organizers. But the Coho derby was held alongside the king derby in the past. This year, it’s the only fishing competition the town has. And the prize money is way more. In 1996, first place received $250. This year, first place will get $2000. The competition may have to take over for the king derby for years to come, if low Chinook forecasts persist. The derby begins this Saturday, August 11th, and lasts through September 3rd. Only weekend catches count. This year’s derby tickets will be reduced from $35 to $20. The chamber will award weekly $250 cash prizes, with a $500 prize for Labor Day weekend. The top awards will be based on a cumulative three-fish catch. Those prizes are $2,000 for first place, $1,500 for second and $1,000 for third. Each ticket enters you into a raffle to win two round-trip Alaska Airlines tickets.